A new culinary experience has arrived in Málaga - another creation from the owners of the Asako restaurant who gave us the Feelfood concept. In association with their first chef de cuisine, Jorge Manfredi, they combine traditional Mediterranean and Asian, mostly Japanese, food. 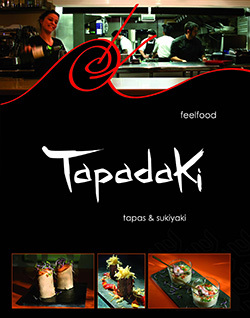 Appetizers and tapas take their inspiration from local dishes, whilst main courses are based on a classic Japanese dish: Suki yaki. You can sample Mediterranean classics such as “porra antequerana” (an Andalusian gazpacho-style dish) with raviolis of Serrano ham and parmesan or the delicious “pulguita de carrillada ibérica” (an Iberian pig’s cheeks casserole). A new adventure for the taste buds - a must on your next visit to Málaga. 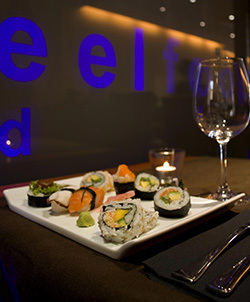 Passionate about Asia and Asian food, Jesús, Joaquín and José bring you a new concept of fusion cuisine. The richness of Mediterranean cuisine combines here with the variety of Asian food: traditional Mediterranean dishes with Asian ingredients or vice versa, resulting in surprising and innovative dishes which add up to an extensive and original menu with over 30 types of nigiris, makis, uramakis and sashimis, including traditional recipes as well as their own creations. The originality of their substantial dishes is the perfect complement to the surroundings: cozy, intimate and modern, Azako offers a relaxing environment where you can really enjoy your meal. A few steps from Plaza Uncibay, right in the centre, Las Garrafas is one of the city’s most emblematic bodegas, boasting nearly 100 years of history; it first opened in 1915. 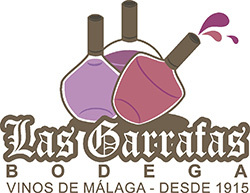 Excellent value for money, las Garrafas has been a favourite meeting place for generations of Málaga people and it is also popular with tourists seeking a fun and lively night out in a typical Málaga bodega. Its specialities: Málaga wines, the most authentic Málaga food and delicious tapas. The reputation of this vegetarian restaurant is now well established. Monday to Friday, they offer a substantial set menu at lunchtime, at a very good price. The quality and variety of its vegetarian dishes are truly outstanding. Do not miss the wide selection of fresh juices ranging from the multivitamin special to invigorating or detox juices. If you have yet to be convinced by vegetarian food, you will find irresistible dishes such as the chickpea tripe whose flavour is every bit as tantalizing as “meat” tripe. Amongst all those exquisite dishes, we highly recommend that you try the seitan. An added advantage is its perfect location Plaza de la Merced (near the Picasso Museum and his birthplace, the Alcazaba and city centre) with parking nearby. A good choice. In the evening its elegant decor and thoughtful arrangement of tables create the perfect atmosphere for a romantic dinner.